WAVE stands for Women against Violence Europe and is a non-profit, non-governmental feminist women’s organization working in the area of combating violence against women. Established in 1994, WAVE is a network organization composed of more than 100 women’s organizations in 46 European countries. A few members of WAVE represent governmental organizations. WAVE’s central office is located in Vienna, Austria. WAVE aims at establishing gender equality by working towards the elimination of all forms of violence against women and is the only network dedicated solely to work against violence against women. For more information about the WAVE Network, please click here. How did WAVE get started? WAVE was established in 1994. The original idea to found the network can be traced back to a number of international events. The widening of transnational cooperation began with the World Conference on Human Rights held in Vienna in 1993. This conference established that acts of violence committed against women constituted human rights violations. These violations related to the violation of right to live a life free from violence and the right to freedom from fear and coercion. The conference’s final document, the Vienna Declaration defines violence against women as a human rights violation and calls on states to take steps to prevent it. This success must be attributed to the active role which international women’s organizations played in the conference. One of the most important events of the conference agenda was the ‘Global Tribunal for Women’s Human Rights’. For a full day, women reported on their experiences of violence to government delegates and to international committee of experts. Following the conference, in December 1993, the United Nations General Assembly adopted the Declaration on the Elimination of Violence against Women. In the spring of 1994, the post of Special Rapporteur on Violence against Women was established at the Human Rights Commission in Geneva. Radhika Coomaraswamy from Sri Lanka was appointed to the post. In October 1994 the European and North American Preparatory meeting for the 4th United Nations Conference on Women (Beijing, 1995) took place in Vienna. European NGOs working in the field of violence against women took an active part in the conference, setting up a working group on ‘Violence and Human Rights Violations against Women’. It was during the meeting that a group of women working in women’s shelters and organizations working at combating violence put forward the idea of establishing a European network on violence against women, as means of strengthening the feminist movement across Europe. This was believed to enable women’s organizations to collaborate and cooperate, to gain more influence and to more effectively fight for women’s rights and to promote the prevention and combating of violence against women on a European level. In the course of the 4th United Nations World Conference on Women, held in Beijing in September 1995, progress was made in the formation of the European network. Its initiators ran a working group under the support of the NGO Forum, thus giving a wide public access to information on this undertaking. The World Conference on Women marked a further step in combating violence against women. Measures against violence constituted one of the priorities in the Action Platform, the final document of the World Conference on Women. It contains a large number of recommendations and measures to prevent violence to be implemented by the member states. In the course of the World Conference on Women, the WAVE founding group held its constituent session. 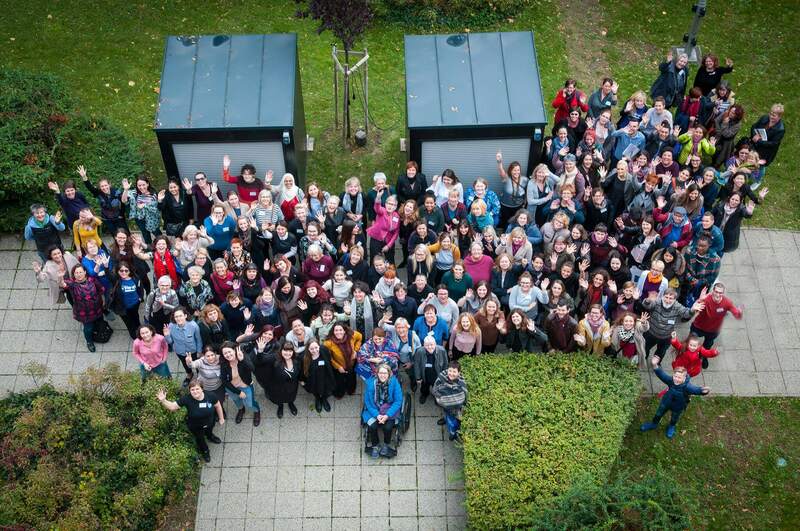 The group’s members included: Niamh Wilson of Irish Women’s Aid, Ebon Kram of the Swedish Women’s Shelters Network ROKS, Urszula Nowakowska of the Centrum Praw Kobiet (Women’s Rights Centre) in Warsaw, Marianne Cense of TransAct in the Netherlands, Lepa Mladjenovic of the SOS Hotline in Belgrade, and Rosa Logar of the Verein der Autonomen Österreichischen Frauenhäuser (Austrian Women’s Shelter Network). The first working session of the WAVE founding members took place in Utrecht, Netherlands in October 1996. The meeting was financed by the participants themselves and/or their organizations. The agenda covered an initial definition of the network’s objectives and working principles, a discussion of goals and sources of funding, and an organization of a European-level WAVE conference. At the beginning, the network was referred to as the Information Centre against Violence. The Eastern European delegates expressed their desire to form an Eastern European women’s projects against violence within the WAVE Network to serve the purpose of networking, because the background conditions and structures pertaining to their work differed markedly from those relating to the work of women’s organisations in Western Europe. WAVE made an active contribution to the international conference on ‘Women, Violence and Citizenship’, held in Brighton, United Kingdom, in November 1996. During the conference, WAVE organized two working groups with an emphasis on introducing and enlarging the network, and additionally distributed its first folder and sought organisations to join the network. The first meeting took place in Vienna at the Intervention Centre against Domestic Violence on the 4th of December 1996. The Vienna Information Centre against Violence assumed much of the responsibility for the network’s coordination and set about raising funds. Following the ‘4th World Conference on Women’ in Beijing in 1995, the European Commission began the ‘Daphne’ Initiative, supporting transnational projects aimed at preventing and combating violence against women and children. The WAVE Network successfully applied for funding and on the premises of the Information Office against Violence in Vienna, the WAVE coordination office was set up. The first WAVE conference took place in the year 1997 in Belgrade, Serbia. Since 1997, WAVE’s work has been continuously supported through funding by the European Commission. In 2014, WAVE celebrated its 20 year anniversary. Our work continues and we feel great privilege to be able to continue this important work. The Network comprises of more than 100 women’s organizations in 46 European countries. The members serve as a source of information about violence against women and children in their respective countries, facilitating the exchange of ideas and dissemination of information about domestic and sexual violence throughout Europe. Many WAVE members participate in WAVE activities and projects, including the Annual WAVE Conference, WAVE Training Institute, WAVE magazine FEMPOWER, and Annual WAVE Country Report by serving as expert sources of primary information for their countries in the field of violence against women and children. Additionally, many individual WAVE projects outside of WAVE’s yearly operational activities involve WAVE members as partners. The work done within the Network contributes to the implementation of new ideas gained through the exchange of information and ideas between these organizations. For a list of WAVE members, please click here. I am interested in collaborating with WAVE on a project, whom do I contact? In addition to its annual program, WAVE carries out and joins various projects throughout the year. If you would like to collaborate with WAVE, please send us a message to our office address at office@wave-network.org or contact us at +43 (0) 1 548 2720. My organization would like to invite someone from WAVE to join our conference, whom do I contact? If you are planning a conference or a workshop addressing the topic of preventing and combating violence against women and would like someone from WAVE to join, deliver a presentation and/or participate, we would be happy to try to support your efforts. Please send us a message to our office address at office@wave-network.org or contact us at +43 (0) 1 548 2720. My organization would like to receive training on violence against women by WAVE, whom do I contact? If you are planning a training on the topic of preventing and combating violence against women and would like someone from WAVE to take part in or deliver a training, we would be happy to try to support your efforts. Please send us a message to our office address at office@wave-network.org or contact us at +43 (0) 1 548 2720. My organization would like to come to Austria for a study visit to get to know the Austrian system of addressing violence against women, whom do I contact? Each year, WAVE welcomes delegations of NGO and government representatives to Austria in form of a study visit. Study visits serve as meetings of NGO experts and government officials to inform the participants’ respective countries about the area of national law on combating violence against women and other national level developments in Austria. This includes introduction and visits to social service establishments, women’s services establishments, police, court, programs working with perpetrators of violence, among others. Previous WAVE study visits and delegations included participants from Macedonia, Serbia, Australia, Russia, Malta, Lithuania, Moldova, the Transnistrian region, Tajikistan, Bulgaria, Romania, Albania, Turkey, Hungary, Estonia, China, Belarus and Belgium, among others. If you would like to organize a study visit and learn about the Austrian system, we would be happy to try to support your efforts. Please send us a message to our office address at office@wave-network.org or contact us at +43 (0) 1 548 2720. WAVE is a network of European women’s NGOs and other organizations working in the field of combating violence against women and children. Currently, there are more than 100 WAVE members in 46 European countries. WAVE’s central task is to raise awareness of violence against women and domestic violence, promote the work of women’s NGOs and empower their work wherever possible. Influencing policy makers to promote, protect and strengthen the human rights of women and children in Europe. Developing the capacity of the Network and involve WAVE members in all of WAVE’s activities, including the Annual Conference as well as research projects and trainings, among other activities. Share the most recent and up-to-date information on relevant activities taking place in Europe, on local, national and European level with organizations in the WAVE Network. This includes the development of the WAVE Report, where members provide their local expertise to assemble an overview of the situation for 46 European countries. Additionally, WAVE issues a bi-monthly newsletter and press releases, among other informational tools. WAVE has conducted and continues to conduct research in the area of mapping women’s services, protecting high-risk victims, data collection, as well as research on the effects of violence on women, including the risk of falling into poverty, and the role of the healthcare sector in combating violence against women. Additionally, WAVE joins other organizations and provides expertise for various projects. WAVE provides a platform for relevant stakeholders from all areas in the field of combating violence against women, including government officials, NGO experts as well as academic experts to exchange ideas and form alliances. WAVE supports the aims of the United Nations, stressing the importance of working together towards ending all forms of violence against women and children in public and private life in accordance with the Vienna Declaration, the Declaration of Violence against Women, and the Beijing Platform for Action. How can I engage in WAVE’s work? There are numerous ways to be involved in the work of WAVE. When job vacancies are available, they are made available here. If you are interested in carrying out an internship at WAVE, we would welcome your interest. You can find more information here. A significant and public annual event that takes place each year and is organized by the WAVE office is the Annual WAVE Conference. This event that bring together women’s NGO representatives from all of Europe and other continents, policy makers, and other relevant stakeholders working in the field of preventing and combating violence against women takes place at the end of each year (usually October or November). Information about the Annual WAVE Conference and other upcoming events may be seen regularly on the front page of the WAVE website under UPCOMING EVENTS. In addition to funding from the European Commission, Ministries and foundations, WAVE welcomes small donations from individuals. If you would like to make a donation, please visit here. I am conducting research, how can WAVE help me? The WAVE website provides various sources of information, especially under the RESOURCES menu of the website, which includes access to country information, research reports, training manuals, Fempower magazine, WAVE statistics, and videos. Additionally, the WAVE website houses a database of women’s services and organizations in 46 European countries under the FIND HELP menu of the website. If you are looking to get in contact with relevant women’s organizations in Europe working in the field of preventing and combating violence against women, you can find information about them and their contact information here. Should you wish to contact the WAVE office directly with an inquiry, please send us an e-mail to office@wave-network.org or contact us at +43 (0) 1 548 2720. How can I get help if I am experiencing violence? It takes a lot of courage to reach out for help. WAVE can help by providing referrals to relevant services in your country and try to support you the best we can. If you wish to look for support services in your country, you can visit our database by clicking here or you can search our database for specific services here. If you wish, you may contact a WAVE member organization in your country that works in the area of preventing and combating violence against women. For a list of organizations, please click here. Should you wish to contact the WAVE office directly, please send us an e-mail to office@wave-network.org or contact us at +43 (0) 1 548 2720. Additionally, we are available via fax, on facebook and twitter. For more information about contacting us, please click here. Someone I know is experiencing violence, how can I help? Supporting a person who is going through violence can be challenging. I would like to bring a complaint to an international body, can WAVE help me? The same rule applies to individual complaints in front of the Committee on the Elimination of All Forms of Discrimination against Women (CEDAW): “Before filing a complaint to a treaty body, you must bring your claim through the national court system, up to the highest court (for example the Supreme Court), and receive a final decision.” A further restriction is that both the ECHR and CEDAW only allow complaints against states that have ratified the relevant conventions. While WAVE is currently not in the position to support individuals in bringing their complaints to an international body, you may contact a WAVE member organization in the relevant countries, which may be able to provide you with additional information of how you can be helped to bring forth your complaint.